Have you ever wondered what we are doing to your data when the order status is Single Image? Here is the answer based on the instructions we give to our data preparation engineers. Many of the steps described below are automated for speed and accuracy but we have ignored this to make a clearer presentation. More information on our requirements can be found on the home page under “Technology Guidelines”. 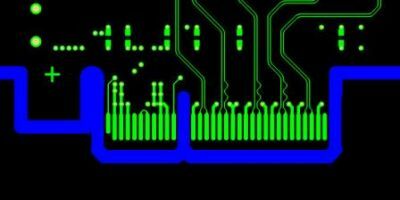 Eurocircuits data preparation – Analysis : the initial stage, checking if the data are complete and no obvious problems are there to fulfill the order. 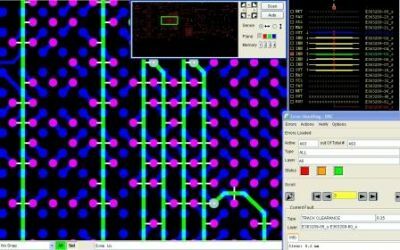 Eurocircuits data preparation – Single Image (part I) – drill data and copper layers. : Verify and clean up the drill data and the outer and inner-layers. 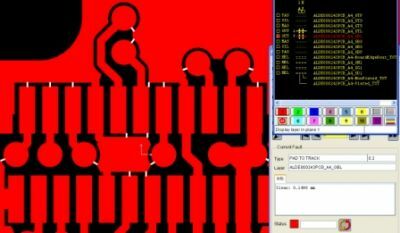 This current article, Eurocircuits data preparation – Single Image (part II) – other layers and outputs, is our third article in a series about frontend engineering and is about the preparation of Soldermask, Silk screen (legend), coding on PCB”s, making customer panels, machine outputs: “drill layer, rout layer, V-cut layer”, SMD paste layers and optional other layers. convert any painted pads to flash pads. 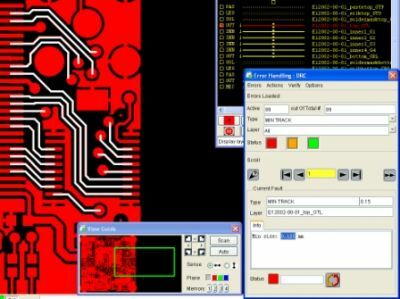 If no solder paste is supplied prepare the paste layer from the board data. 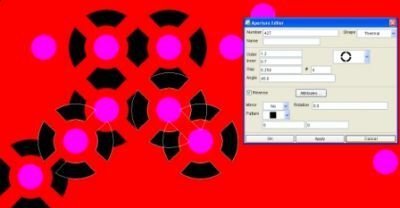 Select all non-drilled, flashed pads that are free of soldermask and copy to a paste layer. These layers will be prepared only when ordered. Check that it is conform to our production requirements and resolve any errors. Build a new netlist from the current data and check it against the reference netlist saved immediatly after the customer data was loaded. If there are any differences between the two netlists, find the reason for it and correct when necessary. Some differences are caused by our actions to make the board easier to produce, ignore them and find out where all other difference originate from and repair if needed. If there are any errors, these must be corrected. When the data is confirmed as correct, it is passed on to the next stage where it will be placed on a production pooling panel. We will bring this story shortly. 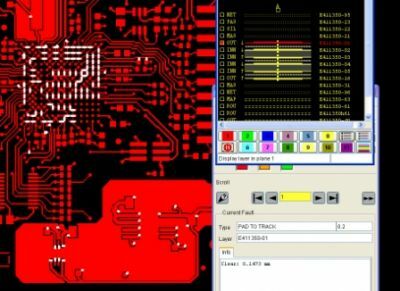 Eurocircuits have been appointed pan-European Value-Added Reseller for CadSoft’s EAGLE PCB design software. 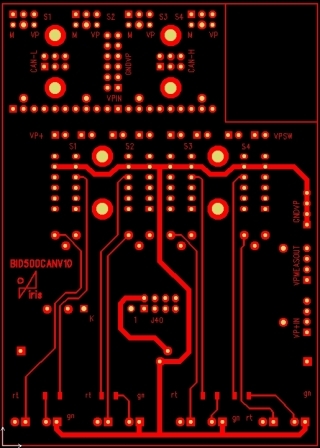 Now you can buy EAGLE CAD software licences and upgrades directly from our website on your Eurocircuits account – no need to set up new accounts and payment procedures. How? Why do we offer a CAD package? 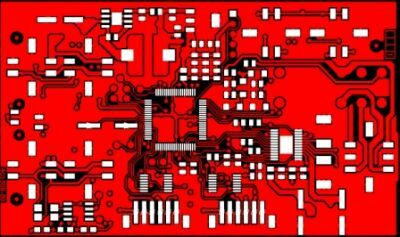 We want to offer our customers more than just a top quality prototype and small batch PCB service. We want to help them speed up their development cycle and get their products to the market faster. The key to this is integration. We want to provide the tools for an integrated workflow from design to assembled product. 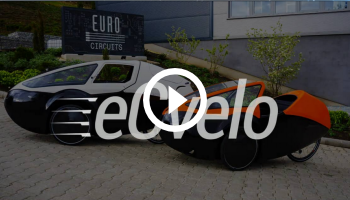 Whether you are a prototype designer or a small batch manufacturer, an integrated workflow will deliver faster product development with less risk of error and lower costs. 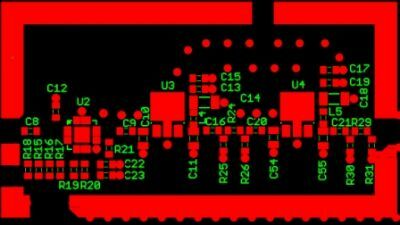 Downstream we have integrated our PCB and stencil products with reflow soldering. This is already showing benefits. Customers report that using our bench-top stencil printer they can cut assembly time by up to 75%. In particular the eC-registration system aligns the board and stencil fully automatically, cutting out the time-consuming manual alignment needed on traditional printers. Our bench-top reflow oven completes the process. A CAD package allows us to integrate upstream. We have been working closely with CadSoft for the last two years or so. 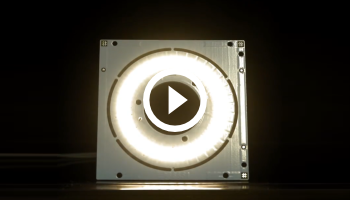 It is already possible to upload EAGLE BRD data files directly into our system without the need for conversion. You can already use EAGLE design rule check templates (DRU files) to help you keep board costs down. Each DRU file reflects the specifications of one of our pooling services so you can make sure that your board fits the most cost-effective one. 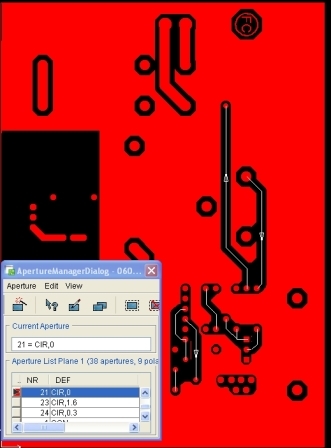 Now in EAGLE V6 a new “PCB quote” button takes integration one step further. It directly enters the job parameters from EAGLE into our price calculators at the click of a mouse. To get a price or place an order all you need to type in is the number of boards you need and how quickly you want them. Board size, number of layers, material thickness, copper weights etc are all entered automatically from EAGLE. 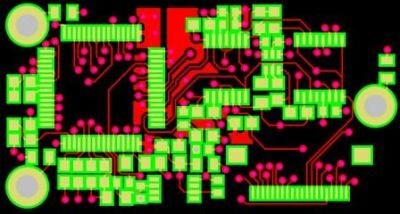 If you have used an Eurocircuits DRU file you will also know that your design fits perfectly into your chosen pooling service. See how it works. 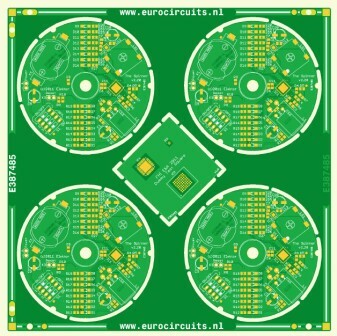 To launch this new service we are offering a discount key worth €30 against a Eurocircuits PCB order if you buy an EAGLE licence from us between now and 31 May 2012. See the full * terms and conditions of the offer. 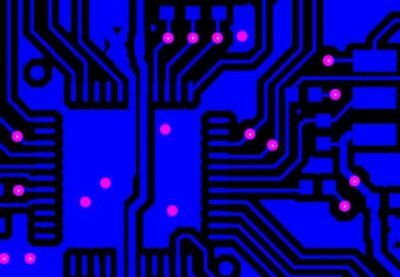 The name “Single Image” may be slightly confusing as it includes both single circuits and customer panels or assembly arrays. 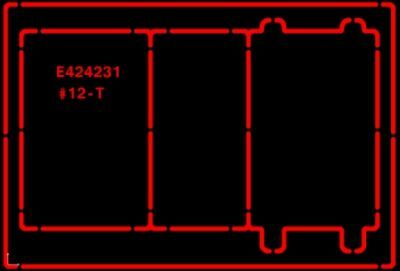 We use it to mean what we will deliver to the customer (individual circuit or panelised array) in contrast to our pooled production panels. remove everything outside the board outline. build a job netlist from the drill and Gerber data. We will use this later to check that we have not made any mistakes during the data preparation. If you have supplied an IPC netlist from your CAD system we will check the job netlist against this at this stage and raise an exception if we find discrepancies. save a copy of the layers as received as a reference for later checks. calculate the Nominal Hole Size. Where our standard tolerances (+/- 0.1 mm) apply, the nominal hole size is the finished hole size specified in the data (e.g. 0.80 mm). Where the designer has specified his own tolerance (e.g. +0.1/-0.00) we will aim to produce a hole in the middle of this tolerance band (so the Nominal Hole Size will be 0.85 mm). plated holes with finished diameter of 0.45 mm or less (taken to be via holes): increase by 0.1 mm. plated holes with finished diameter of 0.50 mm or more (taken to be component holes): increase by 0.15 mm. 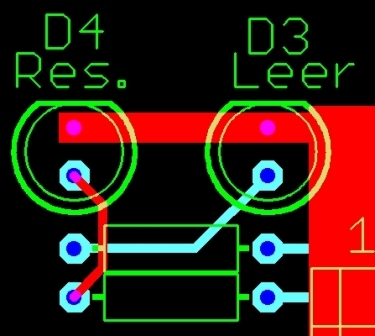 non-plated holes: increase by 0.05 mm. This is due to the bounce-back of the laminate: the drilled hole is always slightly smaller than the drill diameter. Sort and regroup all drills and slots in the correct functional drill layer. Move any NPTH drill, slot or inner cut-out that is or can be seen as part of the board profile to the profiling run. Move all NPTH drills larger then 6.00mm to the profiling run. Move all NPTH drills and slots that are in a copper area (pad or plane) to the second drill run or the profiling run as per production requirements. have a maximum size of 6.00mm. 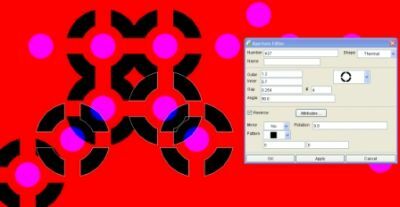 Replace any painted pads and areas with proper flash pads and polygons. Painted features filled with small draws were common in old-fashioned standard Gerber data but are not needed with Extended Gerber where you can define any pad shape or filled area you require. 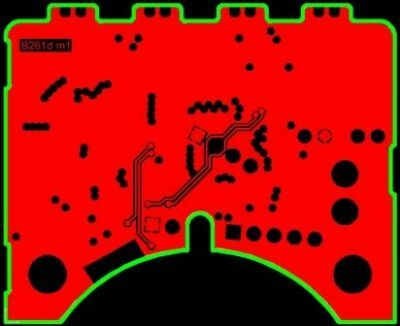 Check for missing copper pads on plated-through holes (PTH). For the NPTH in the first drill run (Tented NPTH): Check the drill to copper clearance, it should be minimal 0.30mm. If impossible to repair then move the NPTH to the second drill run or the profiling run as per production requirements. Run automated design-rule checks (DRCs) to find violations against the minimum required design specifications of the chosen service. At this stage, any violation found should normally be repairable by us. To ensure a robust end product with optimum plating, no drill breakout and, where relevant, good solderability, we look for a minimum annular ring of copper around the hole. This ring is measured from the production hole (the TOOLSIZE) which is oversized from the finished size (the ENDSIZE) to allow for the plating in the holes. For inner layers the annular ring required is larger than for outer layers to compensate for any movement in the material during bonding. 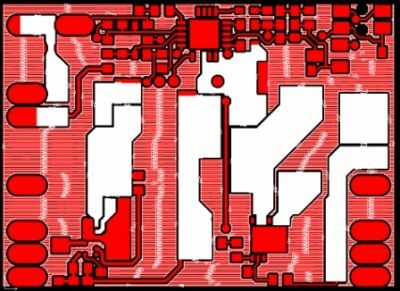 For the values required see “PCB Classification” under “Technology guidelines” on our home page. The dimensional values of the copper defects to be detected depend upon the pattern class – Peelables and Pinholes are filled, Slivers are removed. Clean the data as for outer layers. Check and repair the copper free area of 0.25mm for all elements from the rout layer (=same repair methods/restrictions as Minimum copper to edge clearance in DRC). Check for proper thermal to plane connections, rotate the thermal if needed – Min thermal “air-gap” should be 0.20mm. This is the end of the drill data and copper image preparation. 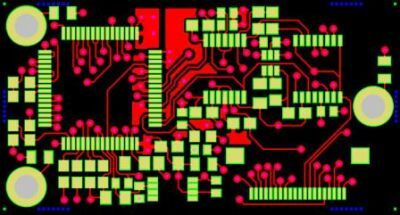 The next article will cover Soldermask preparation, Silk screen (legend), coding on PCB”s, making customer panels, machine outputs: “drill layer, rout layer, V-cut layer”, SMD paste layers and optional other layers. Have you ever wondered what we are doing to your data when the order status is Analysis or Single image? Here is the answer based on the instructions we give to our data preparation engineers. Many of the steps described below are automated for speed and accuracy but we have ignored this to make a clearer presentation. More information on our requirements can be found on the home page under “Technology Guidelines”. Sort the data into Gerber files, Excellon drill files and any additional files (doc, txt, pdf, …) If the data comes in CAD format (EAGLE) convert into Gerber files, drill files etc. Check the additional files: is there any job information there that is not in the Gerber/Excellon files or in the order (e.g. copper weights, soldermask colours, panel setup, tolerances, layer build-up etc)? Upload and convert the Gerber and drill data. Is there critical information in aperture-lists, tool-lists or other files? 0-size aperture in the left image, should have been aperture 0.8 as in the right image. 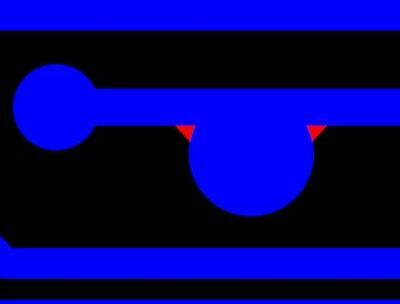 Align all layers exactly to each other. Check that all layers “read” correctly. As we always view the data through the board from the top, the top layer should read correctly and bottom layers should be mirrored. 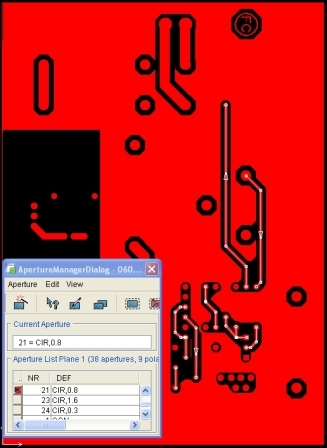 Reverse any “negative” plane layers where the Gerber image shows the pads etc that will be clear (not copper) in the finished board. Create the outline layer. This layer represents the actual board size and shape. 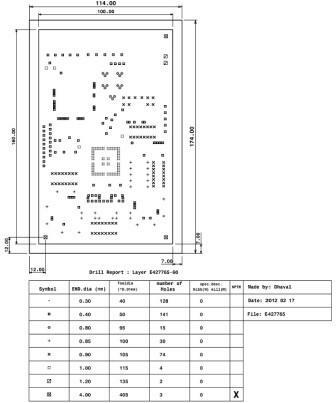 Check the data against the order and the specifications of the chosen service. 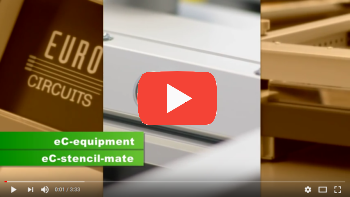 specific requirements such as edge plating, gold edge-connectors, carbon, peel-off mask, viafill etc. 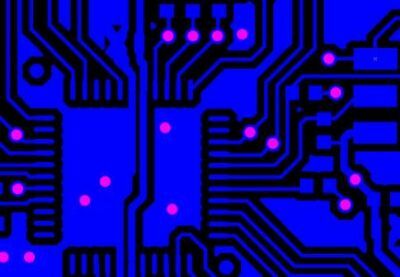 specific requirements such as special build-ups, special materials, thickness of board and copper, specific tolerances, blind/buried vias. Check the copper data against the drill files: are there any missing copper pads? Check the drill data against the copper data: are there any missing drill holes? 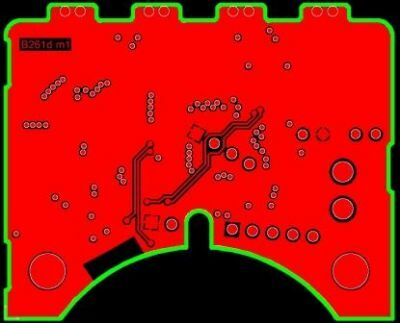 Check the soldermask data against the copper pads: are there any missing soldermask pads (windows)? Check for minimum finished drill size: for example, a finished hole size less than 0.25 mm is not allowed in STANDARD pool. Check for slot and cut-outs less than 0.50 mm in width – not allowed in any service. Check for drill-drill distance <0.15 mm – not allowed in any service. Run automated design-rule checks (DRCs) to find violations against the minimum required design specifications of the chosen service. Is the number of repairs or the complexity of the repairs needed in line with a normal data preparation process. Too much or too complex repairs are most often better solved on the customer side in the CAD system. 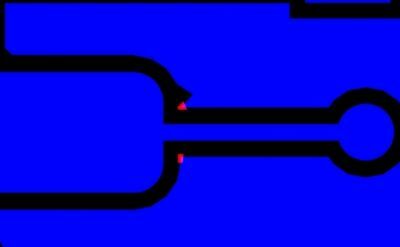 Violations against isolation between track or pad and a copper plane can be repaired by locally withdrawing the copper plane area. Repair is only possible if we do not create open nets in the copper plane. Minimum ring of copper round drill holes on outer layers (Outer Annular Ring – OAR). OAR violations on via holes can be repaired by reducing the via drill size (the limit is the minimum via size for the pattern class) possibly in combination with enlarging the copper pad. All holes with finished diameter of 0.45 mm or less are considered being a via hole. OAR violations on component holes are repaired by enlarging the copper pad. The repairs can only be done provided they do not violate an isolation rule which cannot be repaired. Minimum ring of copper round drill holes on inner layers (Inner Annular Ring – IAR) The same repair rules apply as for OAR violations. 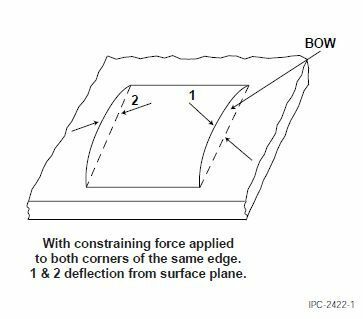 Violations of IPI clearance on a copper plane are repaired by withdrawing the copper plane with the needed IPI clearance value. Repair is only possible if we do not create open nets in the copper plane. Violations of IPI clearance involving tracks can be repaired by moving the specific track away from the drill provided this is possible and that it does not create any insulation rule violation which is non repairable. Violations of IPI clearance involving pads are not repairable. Minimum copper to edge clearance depending whether the board outline is to be routed or scored (V-cut) . 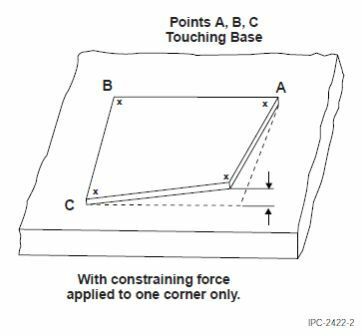 Violations against the edge clearance on a copper plane are repaired by withdrawing the copper plane with the needed edge clearance value, being 0.25mm for routed board outlines and 0.45mm for scored board outlines. Repair is only possible if we do not create open nets in the copper plane. Violations on the edge clearance involving tracks can be repaired by moving the specific track inwards the board provided this is possible and that it does not create any insulation rule violation which is non repairable. Violations on the edge clearance involving pads or drill holes are not repairable. DRC errors that cannot be repaired by us ( see above). upload the job onto the system for next stage, single image preparation. The first step is the data analysis, what this document is about. Data analysis is performed on all inquiries placed with design files and on all orders. The purpose is to detect if the documentation provided is complete and useful to quote for or accept an order. The third step is the panelizing of different jobs on a production panel – we come back in detail to this later also. 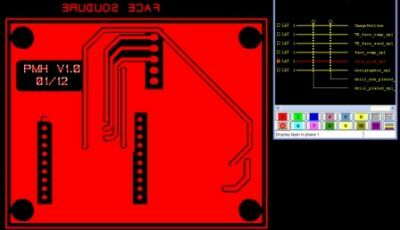 The pictures shown in the articles about data preparation are based on real pcb orders, but have been modified to show specific problems and solutions.